Elucidation of mechanisms underlying incredible life phenomena by laboratory and field sciences. 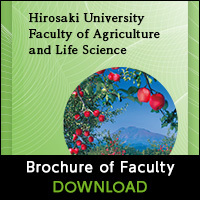 This department devoted to studying various forms of life and is the only Biology department in Northern Touhoku. There are so many different types of living organisms that are intricately interconnected with each other that it would be impossible for one single person to fully understand them all. However, all living creatures are descended from similar ancestors and those ancestors provided the base for a long history of evolution and it’s quite surprising how similar many of the living creatures on our planet are. Biology is the study of life, how it lives and how it is organized, from simple single celled organisms to complex multicellular organisms such as birds. An understanding of these things is what students of this discipline strive to achieve. How are many different forms of life affected or how do they benefit from the other life around them? How do genes work and how do future generations benefit by inheriting them? How is evolution linked with how life changes it’s form, how it reproduces and how it is organized? When an animal is facing extinction, what can we do to make sure that it continues to live on? 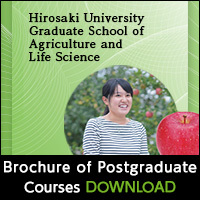 In other words, Biology will teach you the skills that will enable you to properly face the question that is frequently asked when it comes to life, “Why?” This department uses the location of Hirosaki University to it’s advantage, giving students access to areas such as Shirakami-sanchi and Mt. Hakkoda as well as the various rivers and ocean waters that surround them. The“Basic Biology”and “The Environment of Life”course students will aim to study and understand the varieties and similarities between life through both theoretical study and field work. In our department we hope to foster people who will have world class researching skills, be knowledgeable in their fields of expertise, will be able to see life through the eyes of a scientist and will have vital roles in rural agriculture, environmental studies and sciences. Understanding of how the common and diversified rules in living organisms evolve. This course will help you to deepen your understanding of life through the study of Metabolics, Environmental Responses, Reproduction, Heredity traits, Births, Behaviors and Evolution of living organisms. You will research the different phenomena that occur with animals and plants, fungi, bacteria at a cellular, individual and collective level. Consideration of the biological evolution and conservation from the aspects of ecological and environmental sciences. Through field work you will learn how to ensure humans and other creatures live together harmoniously. 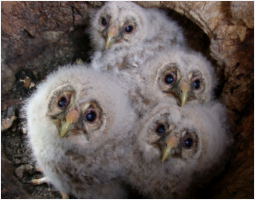 You will study how to preserve and make safe the environments that living creatures live in as well as learning to understand the diversity of animals, their adaptation strategies and their evolution mechanisms.